The Ltd. Ed. 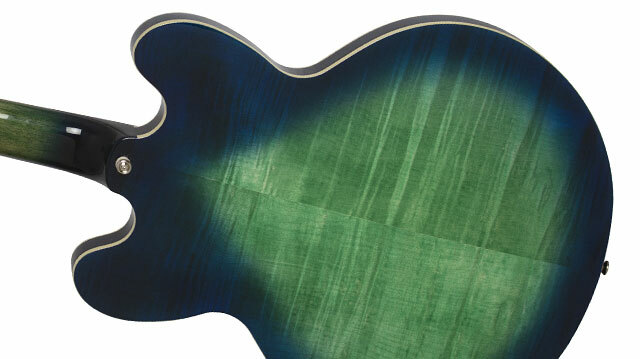 Dot Deluxe features the same dimensions and build style as vintage ES-style semi-hollowbody archtops with a Flame Maple Veneer top and body in Aquamarine and Blueburst color finishes. Both the body top and back have single ply cream binding. Both color finishes come with a black pickguard with a metal “E”. The Solid Mahogany neck has a SlimTaper™ D-profile and is glued to the body using a traditional dovetail joint. The Pau Ferro fingerboard has “Dot” inlays, a 24.75” scale, 22 medium jumbo frets, a 12” radius, and a 2-way adjustable truss rod. The Ltd. Ed. Dot Deluxe features Alnico Classic PRO™ humbuckers made with Alnico-V magnets, which produce a slightly higher output especially in the mids and highs. Each pickup has it own Volume and Tone control with Top Hat Amber knobs with full-size 500K Ω potentiometers matched with Epiphone’s rugged, all-metal, 3-way toggle pickup selector switch for long-lasting performance. The Ltd. Ed. 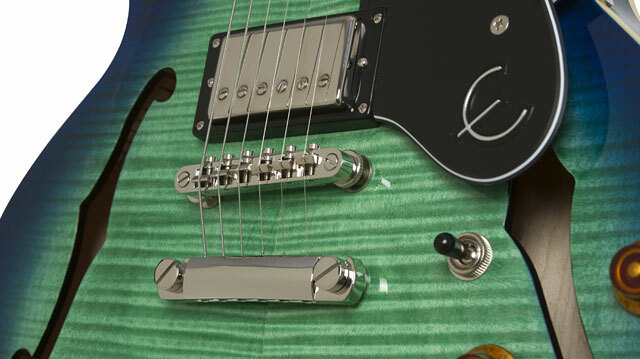 Dot Deluxe comes with Grover® Rotomatic™ machine heads with an 18:1 turning ratio and a LockTone™ Tune-o-matic bridge and Stopbar combo for incredible sustain and solid intonation. A hard case is available through Authorized Epiphone Dealers. The Ltd. Ed. 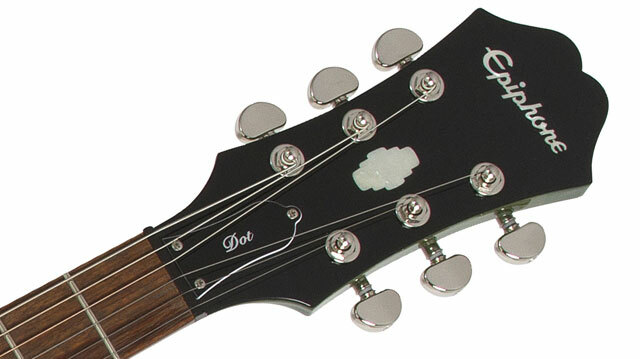 Dot Deluxe is available for a limited time only from Authorized Epiphone Dealers and come with Epiphone’s Limited Lifetime Guarantee and Gibson Brands 24/7/365 Customer Service. Visit your Authorized Epiphone Dealer today while supplies last!